Tiger Global continues to slowly unwind its eight-year-old investment in Mumbai-based Just Dial Ltd, which runs the online business directory Justdial.com, as the tech firm's share price continues to be battered by investors. The global investment arm, which has built its name as one of the top backers of consumer internet and e-commerce firms in India, has part-exited by selling 2.5 per cent stake in the company for Rs 192 crore ($30 million) on Monday through open market transactions. A portfolio investment arm of Goldman Sachs picked bulk of the shares. Last quarter, the global investment firm had sold around 5.4 per cent stake in the company for Rs 500 crore, clocking around 20x returns on its eight-year-old investment. Over the last few weeks it has sold a further 3.4 per cent stake pocketing another Rs 300 crore. The latest stake sale has, however, generated lower returns of a little over 18x. Since January this year, Just Dial' scrip has declined around 30 per cent on BSE and has lost over 40 per cent of its value after hitting a peak last August. Previously, the share price had galloped over three times after its IPO in mid-2013. As on March 31, 2015, Tiger Global held 11.28 per cent stake in Just Dial. Following the latest tranche, the holding of Tiger Global has come down to around 5.37 per cent which is worth Rs 411 crore ($64 million). Tiger Global, which also runs a hedge fund business but is more closely associated with venture investment in Indian tech businesses, had also sold a small stake during the company's IPO two years ago. It had pocketed around Rs 240 crore at that time. Two other VC investors in Just Dial—SAIF Partners and Sequoia Capital— had part-exited last year. These two firms, however, sold shares when the share price was much higher. Multi-stage private investment firm SAIF Partners part-exited pocketed around Rs 254 crore ($41 million) and generated around 30x in gross returns. This was one of the biggest VC exits in terms of return multiples from an Indian portfolio firm and at-par with Sequoia's more recent part-exit from Just Dial. Founded by VSS Mani in 1994, Just Dial is a local search firm that provides both B2C and B2B listings of small and medium businesses across the country, and provides services across multiple platforms, including the internet, phone, wireless and print. Lately it has been expanding its business by adding transaction services for its merchants allowing consumers to buy products and services from third-party vendors like a marketplace. 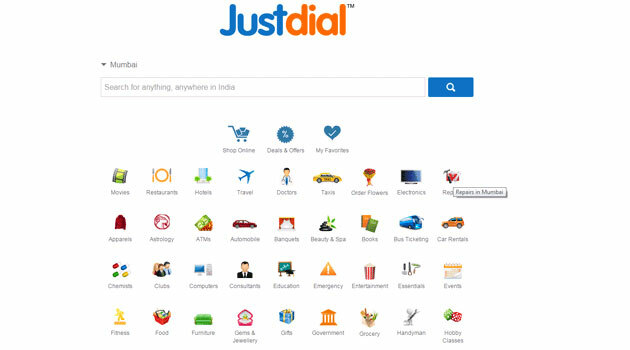 Just Dial recently said it is planning to raise up to Rs 1,000 crore ($165 million) through equity and related instruments. Shares of Just Dial closed the day at Rs 1086.35 each, down 3.09 per cent on the BSE in a strong Mumbai market on Monday.